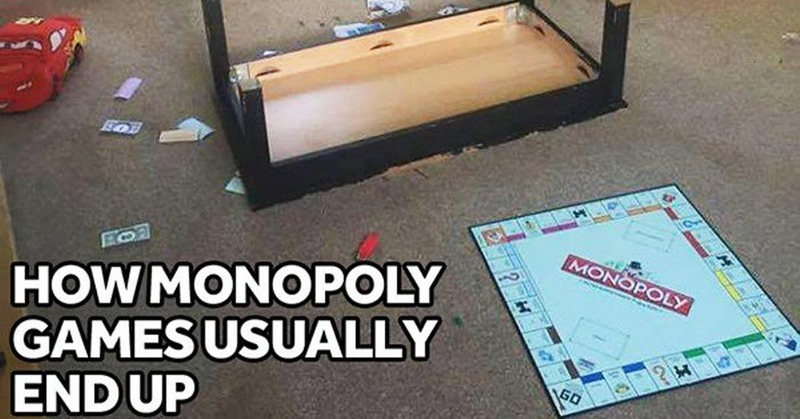 Do you remember playing monopoly when you were a child? It was a game that many of us enjoyed and it was an excellent way to take up an entire afternoon with our brothers and sisters or a group of friends from the neighborhood. Most of us have fond memories of playing Monopoly and perhaps we may have even won a game or two in our lifetime. More than likely, you also probably know somebody who would get extremely angry if things didn’t go their way. As it turns out, it may have been an indication of another personality trait. It’s hard to believe that Monopoly has been around for eight decades and, as most of us can attest to, it sometimes ended with a lot less friendliness than what it began. The majority of us would internalize any negative feelings that we had when we played Monopoly, and there were plenty of those feelings for most of us. For some people, however, the ability to internalize those feelings was simply nonexistent. It typically started out with a relatively fun game and most of us were smiling and laughing as we made our way around the board for the first time. It didn’t take long, however, before we began to realize that somebody who was playing the game was not having as much fun as the rest of us. Perhaps it was a matter of greed and they simply wanted to take as much of the loot as they possibly could. It could also be the fact that they were a sore loser, which is quite a possibility as well. Regardless of why it happens, it is an issue that makes Monopoly much more than a simple game. Some people who are reading this article will recognize that player in somebody else. Perhaps they played multiple games of monopoly and they all ended in the same way, with somebody throwing pieces or perhaps knocking the board off of the table. Some of those who are reading this article may also have to admit that they were the individual who would escalate things when playing the game. As it turns out, this behavior is more than just poor sportsmanship, it may indicate that they are a control freak. ” According to the self determination theory, in any decent game, the creators have to instinctively find important principles of motivation and manage to find a way to apply them within the game. These simple concepts derive from three areas of common psychological need; autonomy, the need to be in control of one’s own behaviour or choices; relatedness, the need to connect with others and identify with a group; and competence, the desire to control or influence the outcomes of the game. Think back to some of the childhood games that you played with others. More than likely, you will be able to identify one of those individuals. It doesn’t matter how many times you told him or her that it was only a game, it only seemed to make them more angry over losing. As it turns out, this control freak mentality ruins the fun for everybody playing the game. Nobody wins, they simply separate until things cool down. A control freak can be defined as somebody who needs to be in control over others and is obsessed with that situation. Regardless of the issue they are facing; they need to take command. When a lighthearted game like Monopoly is taken too seriously, they often find themselves in a position where they want more. Perhaps they insist on handing out the property cards, being the banker or counting their own money. When somebody lands on your property, they are quick to point it out and they probably know the rulebook by heart and will make those rules known to everyone. ” Their need to win is greater. When this basic need of control is compromised either by losing, rules not being fully complied with, or some other distraction, maybe another player isn’t taking the game seriously enough in which case this would infuriate them because of their overwhelming need to control or influence the outcome. These people cannot differentiate between enjoying a game and winning it. It’s serious! It’s simply ‘outcome motivated’ when it comes to playing any game, and when they don’t get what they desire, they get very upset or angry. They blame others, or chance, for their demise and loss of game, and cannot focus on the actual enjoyment of playing the game. Another issue that is often associated with Monopoly is that one player will cheat. They are a different individual but they often have to duke it out with the control freak. In fact, Monopoly brings out the cheaters in so many of us that a new game was designed specifically for those individuals. The point of the cheater’s edition is to get away with cheating as many times as you can and end up with more money than everyone else at the end of the game. You can skip spaces, avoid certain squares or try to avoid paying rent. You can even take some extra bills from the bank when nobody is looking! You may not be somebody that plays that particular game, but in the back of your mind, you know somebody who would love it.